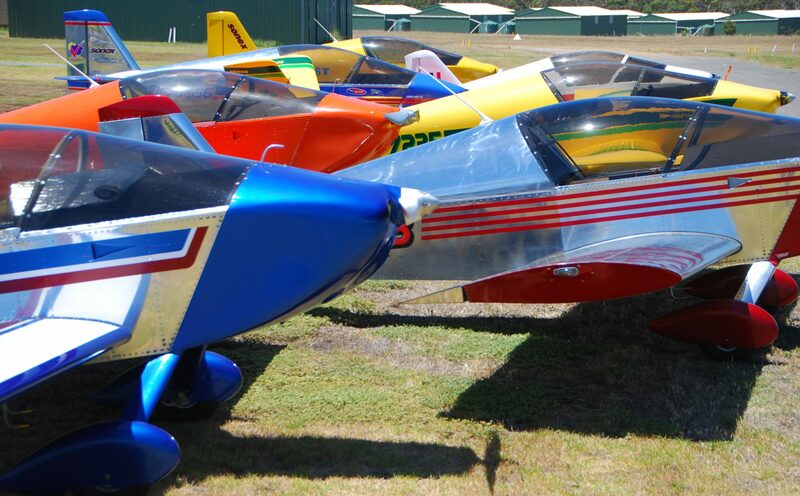 SonexAus – Yarrawonga Yarrawonga report 2012 Over thirty Sonex owners, builders and prospective builders gathered in Yarrawonga on the weekend of March 24-25 2012 for our annual flyin. 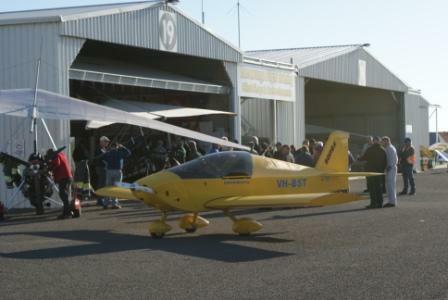 We combined with the Lightweight Aircraft Association from Melbourne. A feature of the afternoon was a seminar by recent Sonex builder Ian Mitchell on the characteristics of three common carby options: the Aerocarb, the Bing and the Rotec TBI. Ian is an experienced aircraft engineer who has worked extensively on warbird restoration. He explained in detail the differences between these carby systems. 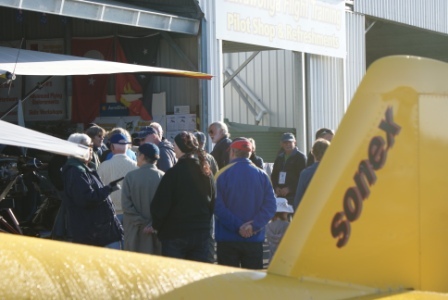 Over a dozen current and prospective builders were able to get airborne in a Sonex over the weekend and give their enthusiasm for building a big boost. More than 80 people attended the Saturday night dinner and aviation trivia quiz. 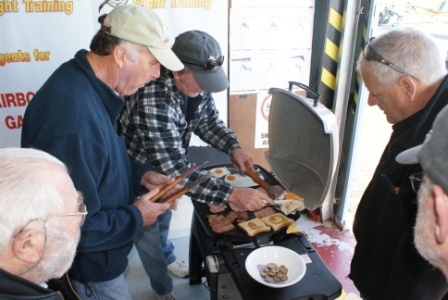 On Sunday morning Sonex builders Tony Richardson and Greg Jones manned the BBQ before we all headed off. 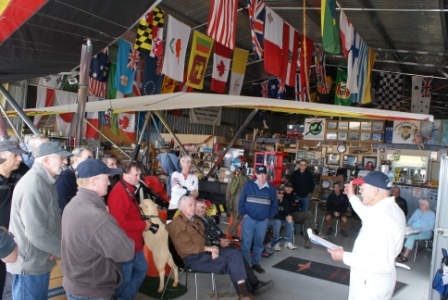 Two members travelled over 3,000 miles by commercial flight to attend the flyin from Perth, Western Australia. 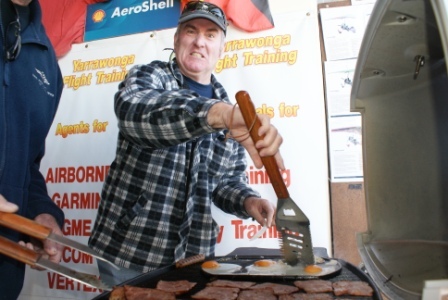 Next gathering is in Temora, New South Wales over Easter.